Beautiful delicate earrings and pendant with Murano glass and silver foil. The wire is sterling silver. 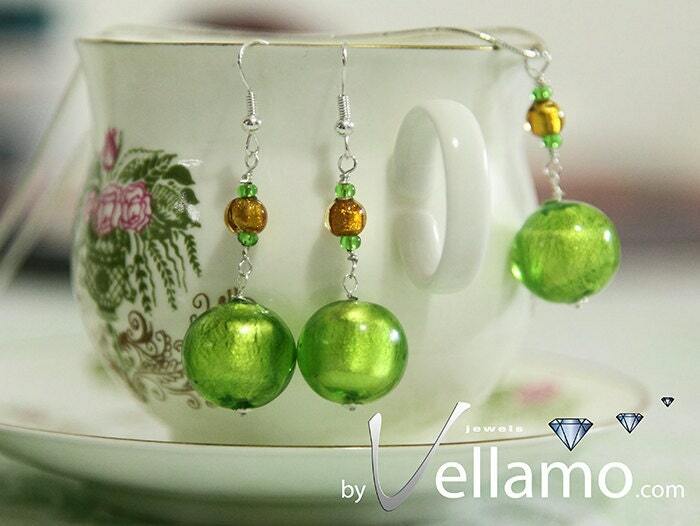 The green Murano beads are 16mm in diameter and the golden ones are about 5mm. The set includes a 40cm sterling silver necklace and comes in a fancy white gift box.